A concrete raising industry-leading manufacturer & business partner. Our customers and business partners need an industry-leading partner who innovates on their behalf and supports them as they start and grow their concrete raising business. Say hello to HMI—your partner from start to success. 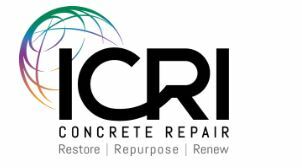 HMI began as RaiseRite Concrete Lifting, Inc. in 1974. At that time, the only slab raising pumps on the market were mechanical pumps designed in the 1950’s, and needless to say, innovation wasn’t a descriptive word for our industry. It was at that time that our founder, Ernest Cvetezar, designed and developed the first fully hydraulic slab raising pump. 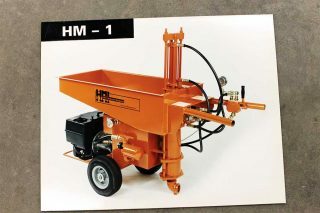 Hydraulic Mudpumps, Inc. (HMI) was launched in 1979 to manufacture the HM-1 hydraulic mudpump. Innovation and meeting customers’ expectations has driven us to become a world leading manufacturer of concrete raising equipment and material. Through our history, we have led the concrete raising industry by developing and introducing self-propulsion, radio remote control, increased pumping speeds, and other improvements to our equipment to meet the concrete raising industry’s needs. From mudpumps to automatic, volumetric mixer/hopper units to polyurethane foam, truck and trailer systems, we continuously research, innovate and produce the most effective and efficient products on the market. The concrete raising products that we manufacture at HMI, along with our beginner / advanced concrete raising training, allows us to provide our customers with top-of-the-line products and the appropriate education to start and grow their concrete raising business. 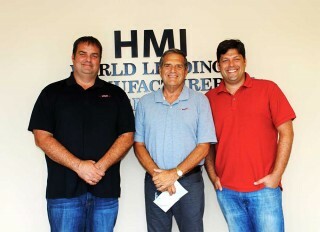 Want to learn more about HMI? Get in touch with us today! MADE BY CONTRACTORS FOR CONTRACTORS Read This TOP HMI Blog Now!